Life is always about making the correct choices. On the one hand you can do x to y and it will upset z. Where as on the other hand the opposite is also true! So which option do you pick? Hand one or hand two? Or better yet, do you just ignore both hands by reading the following comic book created by Dan Abnett, Brett Booth, and published by DC Comics! It's November, 2016, and it's time for the Titans in review. TO QUOTE Herbert A Simon: 'The choices we make lead up to actual experiences. It is one thing to decide to climb a mountain. It is quite another to be on top of it'. 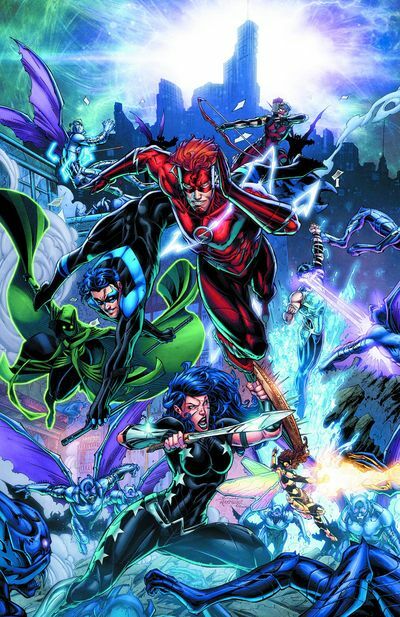 Like many of you out there I'm currently having a tough time coming to grips with this brand new series of 'The Titans'. 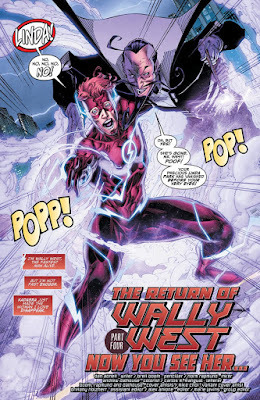 Although I'm loving Brett Booth's sleek yet cartoonish artwork, as well as the way each member of the team interact with one another, in the same breath, I'm not really feeling the vibe where it comes to this current 'The Return of Wally West' story-line. To me, the complete package is a pretty hit and miss affair. Despite loving the look of Brett's art, on occasion I do find his stuff overtly cartoonish on the page, which kind of takes away the feeling of suspense and danger which Dan Abnett's script is asking for. 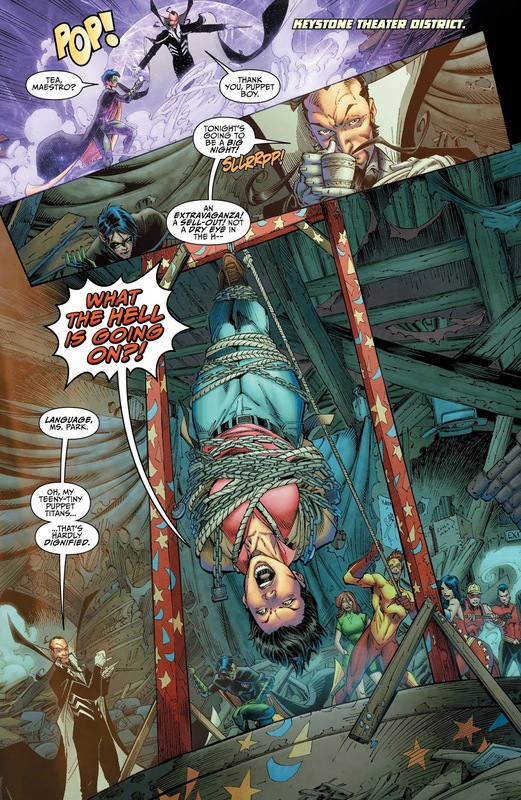 Dan's script, on the other hand, is a pretty straight forward script to follow, and centers on the Titans dividing themselves into three teams of two, so they can save Wally West's on-off girlfriend, Linda Park, from Abracadabra's nefarious clutches. The problem is, Dan's plot is too formulaic by design, and you can pretty much second guess what is going to happen next even before said-event plays out -- for example, the fact that each Titan-duo come face-to-face with two members of Kadabra's pseudo-Teen Titans team. Another factor I didn't like about this story boils down to the nature of coincidence, namely, isn't it a coincidence that Lilith can't telepathically find Linda Park, yet at the same time she can telepathically find three separate locations she might be located: The exact same number needed to divide the team into three so they can battle another group, a more supercharged group, who are also divisible by three. See what I mean? But please, don't get me wrong. I didn't hate this issue completely. What I liked about it the most was the way Dan's script amplified the situation Wally's been placed in. Honestly, a part of me felt so sorry for Wally, I'm truly wondering how he and the Titans are going to get themselves out of this mess! Was Kadabra always this powerful? Maybe on occasion! But never anything on this scale! Also, how come he has the power to super-charge his doppelgangers, yet doesn't have the power to say to himself, 'Hey, let's cut to the chase and just kill Wally and Linda, kaput, and be done with it'. 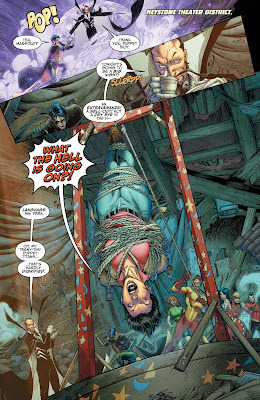 Oh, and that reminds me, to conclude -- groan -- all in all I'd say this issue of the Titans was a mixed bag at best. The art was good. The plot was simple. The overall story was pretty predictable. But thankfully it's main saving grace was the arduous situation Wally now finds himself in: Save his friends or die trying. Damn me and my Python brain. Whatever next? The Spanish Inquisition? No! Nobody expects the Spanish Inquisition! I think it best if I allow Abracadabra to call this month's comparison, because according to him, this story is fairly similar to one of those 'find the lady games', also known as 'Three Card Monte'. 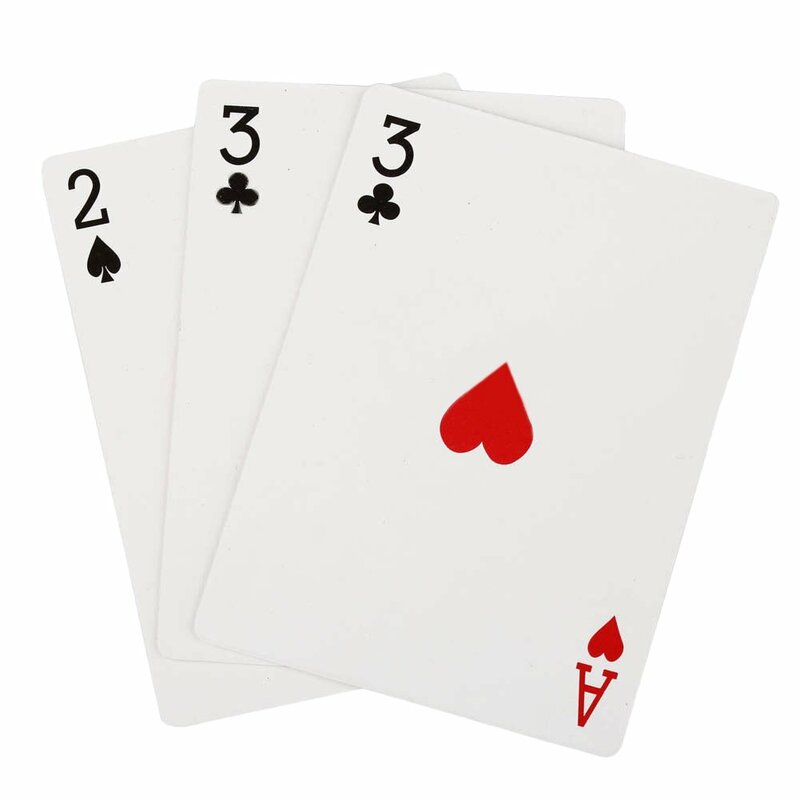 Pick a card and make your choice. Shazam! You loose. Call himself 'The Very Red Flash'. Punch Garth in the haddock. Save all of his friends even though he may overload in the process. Kiss Donna on her... uuuuuhhhh... lucky star?